Summer is here! At Quattro Foods, we know that as the weather gets hotter, tastes begin to sway less towards heavy, wholesome meals, and more towards the delicious and nourishing light bites that aid in settling hunger cravings without leaving you feeling weighed down. With this in mind, Quattro Foods development team in Portsmouth, Hampshire have been dedicating time to producing a variety of lighter options – a fantastic way for your customers to enjoy food without being mindful about calories. Beautiful in colour and on-trend, we can create cooked beetroot for your business, which you can offer to customers who want an earthy and sweet dimension to their dishes. As you may know, beetroot is perfect for rainbow salads and yummy in hummus. Believe it or not, it’s also fabulous in ice-cream—it still counts as one of your five-a-day, right? What definitely is a part of one of your five-a-day is our range of healthier summer soups that are low in sugar and fat. One flavour that we have recently worked on is a locally-sourced pea soup; the distinctive peppery flavour of Hampshire watercress incorporated into this recipe provides the perfect twist, giving you a soup packed with flavour and leaving you feeling refreshed. With our knowledge of seasonal produce, we can help you to create dishes that offer that something special. 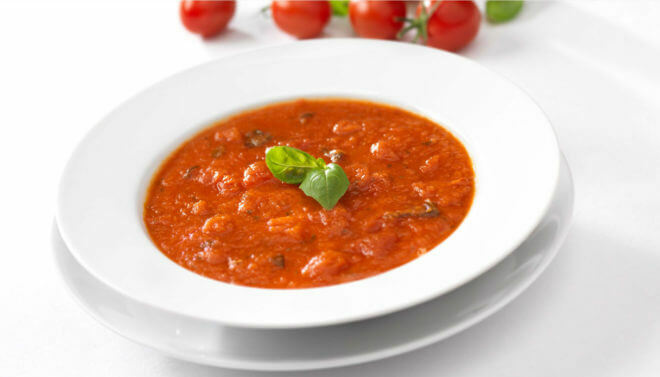 Whether you have a restaurant chain or wholesalers, if there is a particular soup, sauce or low-calorie ingredient that your business would like, our development chefs can create it from scratch, so if you’re looking to offer a starter, main or summer-time light bite, we can produce a delicious and unique recipe to suit your business’s needs. You can contact a member of the Quattro Foods manufacturing team either through our website or you can ring us on +44 (0)23 9262 0020 and we will be happy to answer any questions you may have.